Photovoltaic panels are a way to reduce your Eskom bill by generating your own electricity. There are different ways to connect the panels and Municipalities have different tariffs when feeding back into the grid. In general the Government does not incentivise feeding back into the grid therefore the best system is the one that matches your demand. This provides you with the best return on investment. When talking about grid tied systems we connect your Photovoltaic Panels to your main electricity supply. Your consumption will first be fed from the Photovoltaic production and only if you use more you will import electricity from the main grid. If you do not use your Photovoltaic production the system will export the excess electricity into the main grid. Municipalities have different ways of refunding you for exported electricity. Some do Net-Metering, where you simply reverse your electricity meter, others request that you install Smart-Meter and they will pay you less for the electricity you export than what you have to pay when you import. A Back-up system is a way to avoid load shedding. You store energy in batteries and use this energy when there is no power from the grid. The nice thing is that it kicks in instantly – so you won’t even know it is load shedding. However – you will have to decide what areas in your house you want to work during load shedding, i.e. your lights, your TV, Alarm, Microwave etc. Your selection will determine the price of your system. As more you have on your back-up, as more expensive the system becomes. Back-up Systems can be installed with our without Photovoltaic. If it is installed without Photovoltaic, your batteries will be charged by the main grid when there is power and you use up what you have during load shedding. When installing a back-up system with Photovoltaic you can substantially extend your available capacity due to the production of the panels. You use what you produce, and what you need extra comes from the batteries. 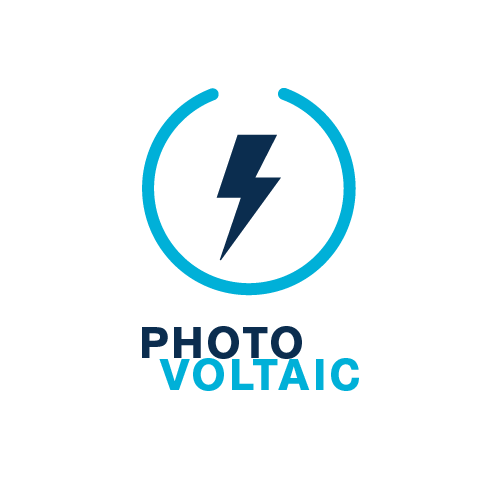 A step further from that is then to connect your Photovoltaic Back-up system to the grid, where you export excess energy to the main grid if your batteries are full and you don’t use your production. Your geyser(s) are responsible for a large portion of your electricity consumption. Therefore one of the first steps to reduce your consumption would be to install either a solar geyser or a heat pump. Solar Water Heating Collectors need radiation to heat the water. So they work best without clouds and plain sunshine. The outside temperature is irrelevant, so even a sunny winter day will give you good results on your Solar Water Heating Collector. We install Flat Plate Collectors from local manufacturers and importers. Our experience shows that those collectors are the better choice in most South African weather conditions. The alternative Evacuated Tube Collector is designed for European conditions and often starts to boil in summer. However, there are very limited scenarios when we recommend an Evacuated tube Collector. 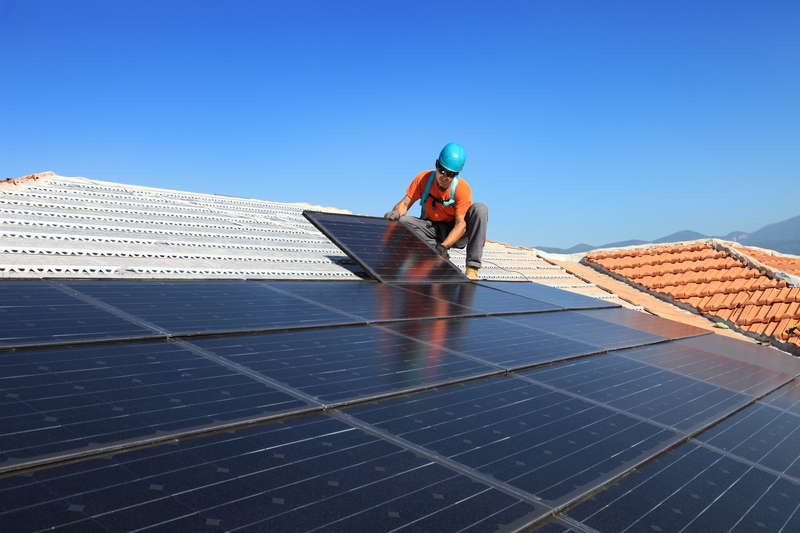 The main mistake most people make when going Solar is to keep their existing storage capacity. With Solar Water Heating you need to increase your geyser size. This is simply because you want to have enough hot water heated by the sun to get you through the evening and the next morning before the sun can heat the next batch. If your storage is too small, your element will heat your water in the morning and you miss out on the free energy from the sun. The pay-back period of a Solar Water Heater depends on your demand. As more hot water you use, as faster is the pay-back. On average a Solar Water Heater pays itself after 2,5 years. Heat Pumps work like an inverse air-conditioning. A Heat Pump takes the ambient temperature, extract the heat and use it to heat your water. So Heat Pumps work well all year round, as warmer the ambient temperature as more efficient they are. A Heat Pump will heat your water at about ½ the cost of your normal electrical geyser element. Heat Pumps can heat your water up to 55 degrees. It is therefore important that you increase your capacity as otherwise every litre you take out of your geyser will first be replaced with cold water which can reduce your volume of available hot water substantially. You also need to keep in mind that the Heat Pump mixes the water in your geyser which cools it down even fast when using hot water. 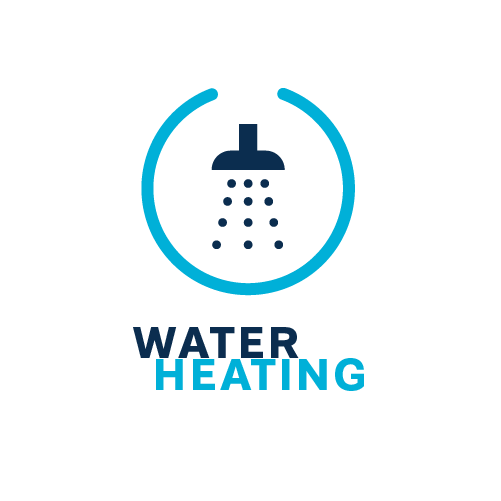 We prefer to connect Heat Pumps to an additional feeding geyser which then feeds your electric geyser with pre-heated water. By doing this we ensure that you have enough hot water at all times and save money. The pay-back period for a Heat Pump depends on your demand as well as Eskom’s electricity price increases. As more they increase as more you save. On average a Heat Pump pays itself off in 4 years. Heating your pool will extend the time you can enjoy it. 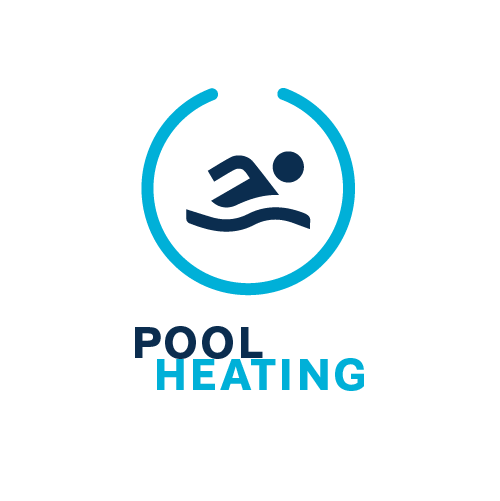 Pool Heating can simply extend your season or can be designed to have a hot pool all year round. 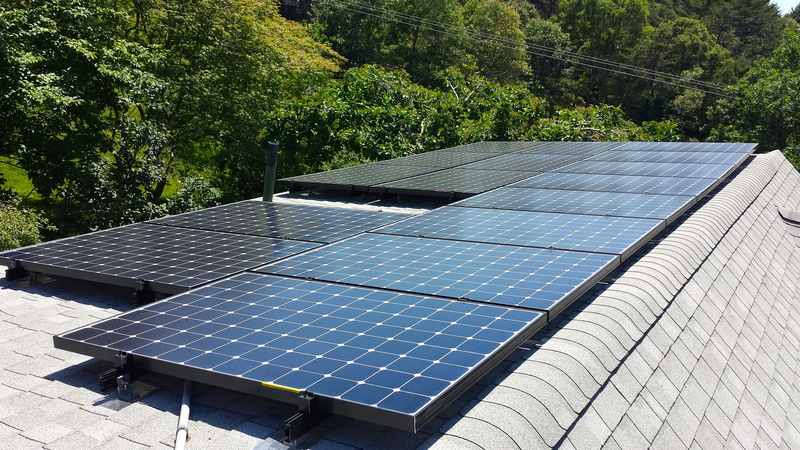 Dependent on your request we install Solar Pool Heating Panels and / or Pool Heatpumps. Solar Panels to heat your pool will extend your season and are cheaper to run than a Heat Pump. The pool water gets pumped through the panels with your normal pool pump. The panels are black and the radiation from the sun heats the water in the panels while it is running through. The biggest obstacle is usually the available size of your roof. Dependent on the make of the panel you need between 80% and 120% of the surface area of your pool as available area for solar panels on your roof. We install HelioCol panels which are manufactures in the US. Their advantage is that the manufacturing process allows the panels to be very dense which reduces the area you need on your roof. Their performance is way better than any locally manufactured panels and they get clipped, not glued, which allows you to extend later. HelioCol panels have been used all over to world to heat any size pool – from small residential to Olympic size. For customers who either do not have the necessary roof space for Solar or who would like to use their pool all year round we recommend to install a Pool Heat Pump. The manufacturer we use has been in business for many years and we have only good experience with it. A Pool Heat Pump works the same than an inverse air-conditioning unit. It takes the ambient temperature to heat your water. 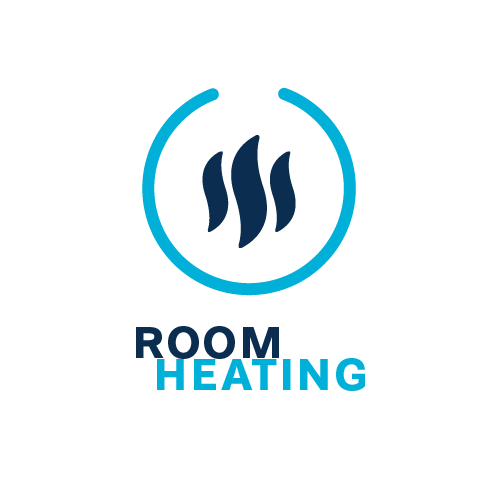 Room Heating using renewable energy solutions will provide you with constant comfortable temperatures and reduce your carbon footprint substantially compared to any other space heating solution. The basic principle is a water based heating solution where you install a heat pump and circulate the hot water with pipes through your house. These systems achieve to maintain a constant pleasant temperature in your home. This is in contrast to other room heating solution using electricity, oil or gas. Due to the fact that a heat pump is a very cost efficient way to heat your water, these solutions are energy efficient. Underfloor Heating is only suitable for newly built houses as the pipes circulating the hot water have to go under your tiles or your carpet. The pipes need space in the height and therefore a retrofit solution is usually not practical. A manifold determines different areas in your house and you will be able to set the circulation of hot water different for every area. This means that you can decide to have your lounge warmer than your bedroom even though all runs from the same system. Wall Heating is a good alternative to Underfloor Heating when you are already doing renovations in your home. It is a possible retrofit solution because you can get the space you need from your wall rather than from your floor but it is a dusty business and we therefore do not recommend doing it while living in the house. However, when it’s done you will be able to enjoy a similar room temperature than with the underfloor heating except for the warm floor. Radiators are a retrofit solution that can be built into almost any home. The only requirement is that the systems water pipe can be connected to the radiator. This pipe can come through your ceiling or through the wall and can even run behind a skirting. Radiators are very common in many European countries and they work the same way than the underfloor heating and the wall heating. They are stylish and do not need lots of space. The temperature for each radiator can be determined separately at the radiator itself.